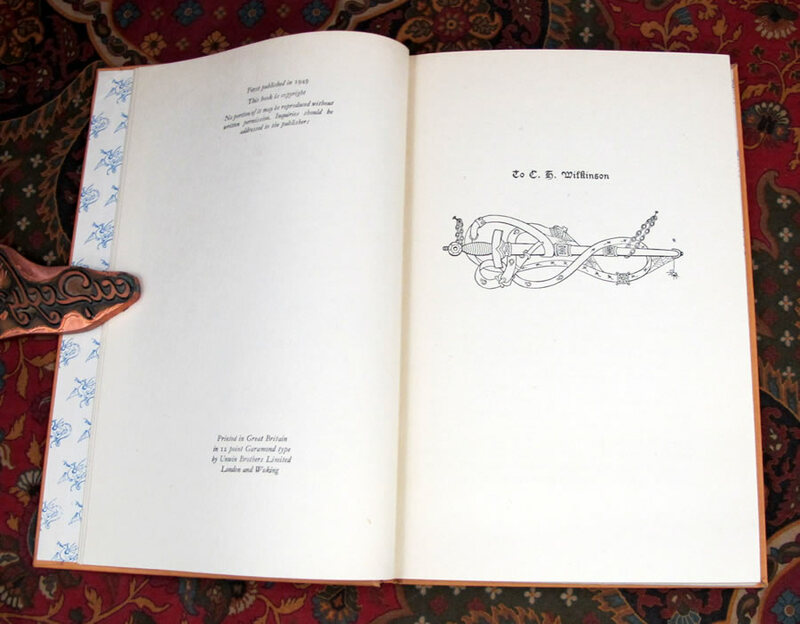 Published in 1949, this is the 1st impression of the 1st Edition, published by Allen & Unwin in its original dustjacket. 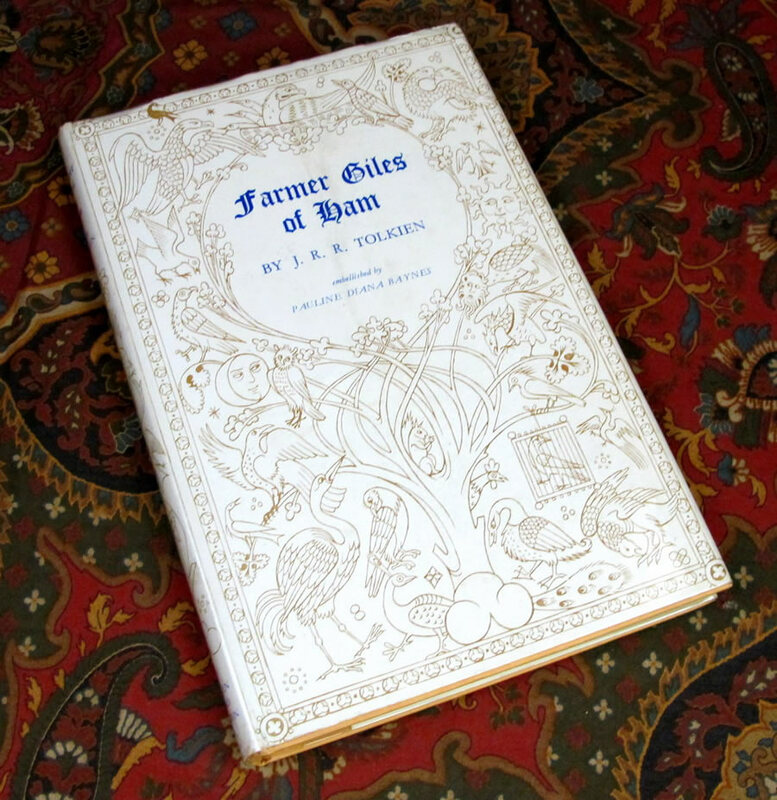 A Near Fine book, with no soiling, the rear board showing a wrinkle in the cloth, probably from the original binding process as it does not show on the rear endpapers. 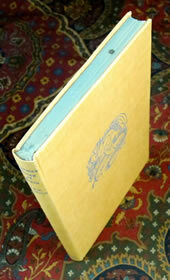 The original dustjacket is priceclipped and in Near Fine condition, with the smallest amount of tanning to the spine. The dustjacket is only lightly soiled, with a couple of small rubs to the edges, almost no loss to the top and bottom of the spine, a tiny bit of loss to the top of the flap folds. 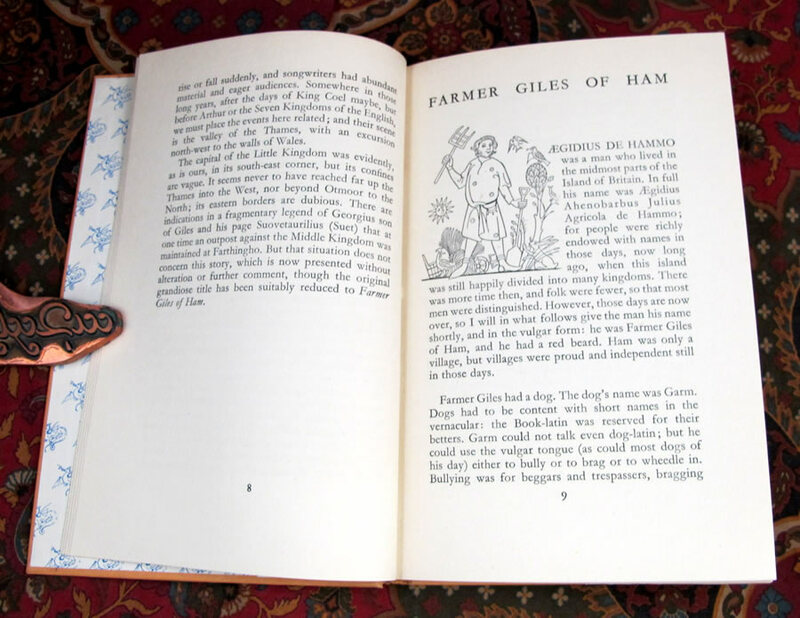 The textblock is clean, without any foxing, top stain is slightly faded and dusty. 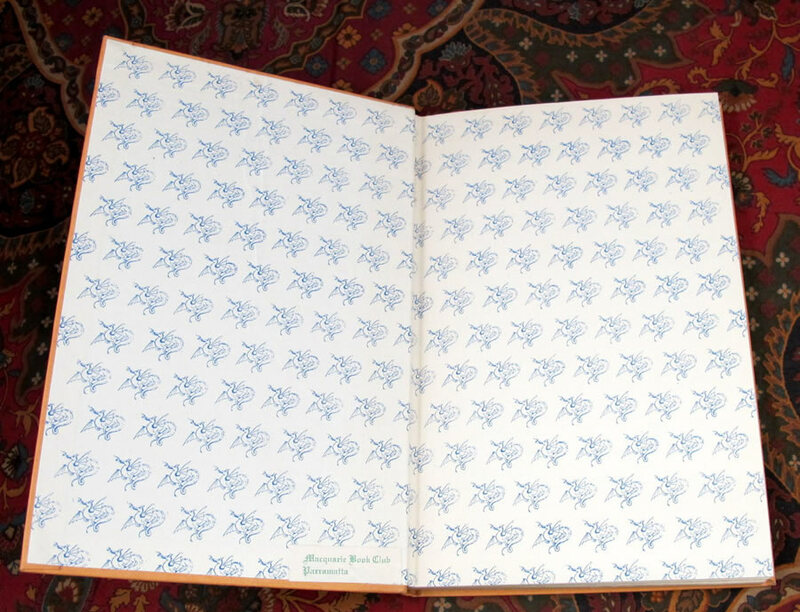 No offsetting to the endpapers, with a small label to the front pastedown. No previous owner names or writing noted. 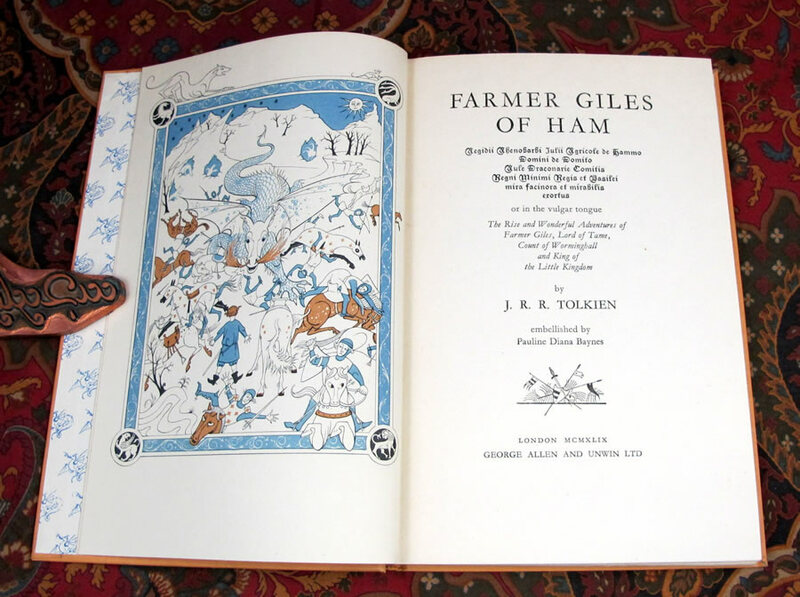 There are two color plates by Pauline Baynes, as well as being illustrated on almost every page with her wonderful line drawings. 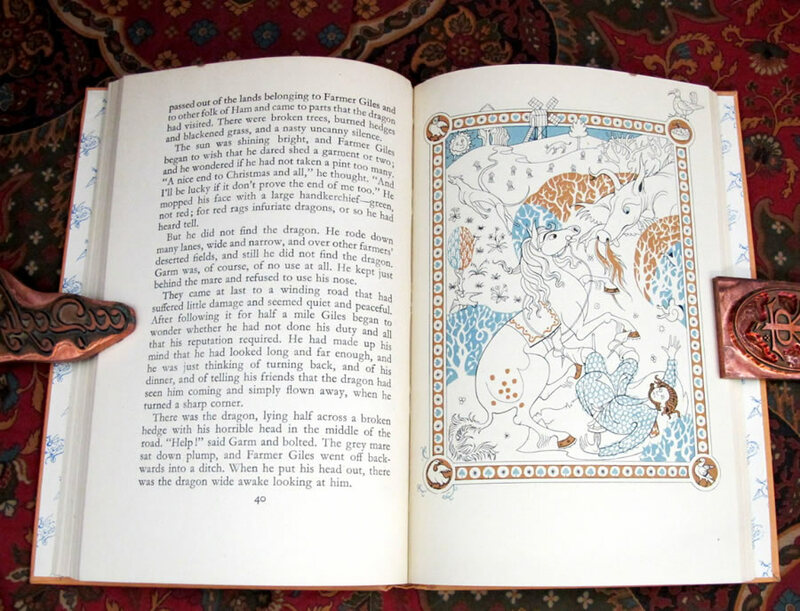 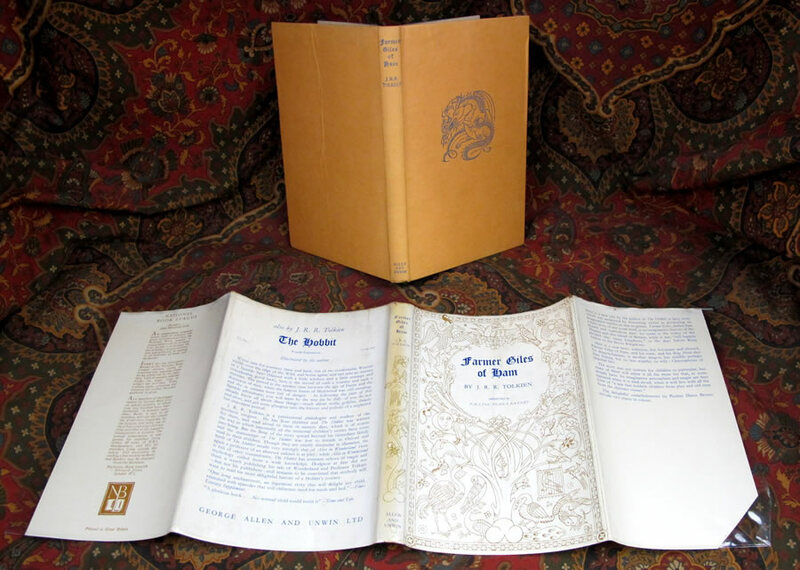 Highly collectable, this is a beautiful copy for any Tolkien fans collection.